The earliest experiences of a young child will have lasting effects for the rest of their life. These early experiences help shape a young child's brain structure, habits, and organization. The brain of babies at 12 months old is not fully developed, and as your child grow and develop, the brain is like a sponge absorbing new information, new experiences, and new feelings. Having a healthy life-style and a healthy growing environment will help enhance the growth and development of your toddler. At one year old, an average child's weight will have tripled from birth weight, and he or she may have 6 to 8 teeth. Don't forget to take your child for his or her 1 year immunizations. By this time, a lot has happened, and a lot is happening with the child's physical development. Here, we'll list some of the milestones that you can expect to see for physical development, and also provide some tips on what you can do to help encourage healthy development. One of the biggest, and probably most exciting developments for a one year old toddler (and parents) is the taking of their first steps. Around this time, your baby may be taking his or her first steps, and moving around the house by holding on to furniture, walls, or walking by holding your hands. Many babies will be able to walk by 13 months old, while others will take longer, and falling often on their bottoms is expected as well. You can help this along by arranging furniture in a way that helps your baby move along without getting blocked or tripped. With your child moving about the house, make sure that small objects and other things such as drinks, keys, cups and glasses, and sharp objects are out of reach and not placed lying around on low furniture such as coffee tables or nightstands. Your toddler will have enough strength and motor control to pull him or herself standing up supported by furniture, but he or she may need some help getting down. When your baby can climb and begin to walk by supporting on furniture, make sure to securely fasten furniture that could tip over - for example, book shelves. Table cloth may also pose some hazard as your child may pull things down from the the table and cause injuries. Sometimes, parents will notice that although their 1 year old child is very sturdy and able to walk on their own, the child may resist attempting to walk without holding hands or on to furniture. This is very normal as young children simply want to feel secure, and this will go away as your child grows older. A toddler at 12 months old will be able to eat well with their fingers and hands, and may also be able to drink from a cup. You can help your child develop more independence by letting them feed themselves. It's okay if they make a big mess - that is expected of small children. Your child will have a lot more interest and motor control to play with a variety of toys. He or she can put small objects into cups or bowls, and may try to stack blocks on top of one another. Reading with your baby is a great way to bond, develop language skills, and help stimulate imagination and intellectual development. 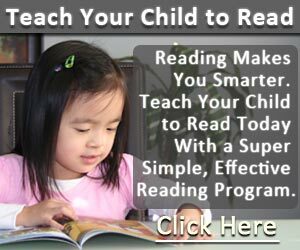 Although a one year old child has much better motor controls, when they try to flip pages in a book, they are still unable to turn one page at a time, but will flip many pages at once. Let your child pick the books that interests them. Remember that the development of a child during this time is happening at a quick pace, and he or she will be exploring and learning new things all the time. They will be curious about everything and anything, and it is critical to child proof your home. Encourage your baby to explore new things; help your child develop confidence with lots of encouragement and praise; and talk to and read to your child even though he or she cannot speak yet. You will be surprised at how much a 1 year old baby can really understand when you talk to them!